The simplest way of using Bazaar is to simple track changes on your own little project. 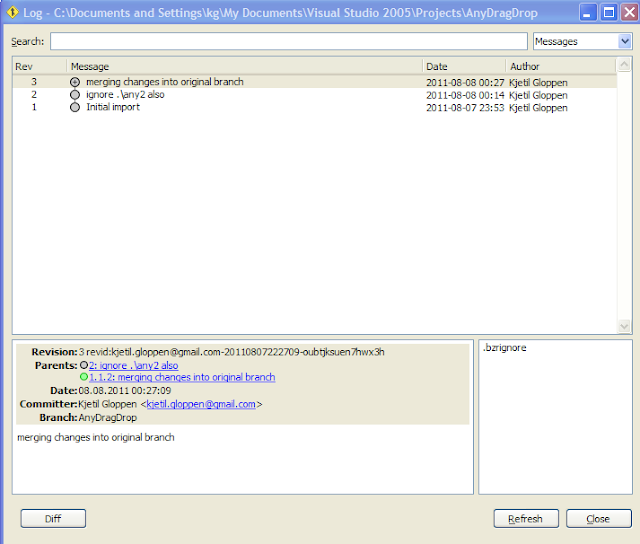 In the example above I add a Visual Studio 2005 project called AnyDragDrop in 4 simple steps. 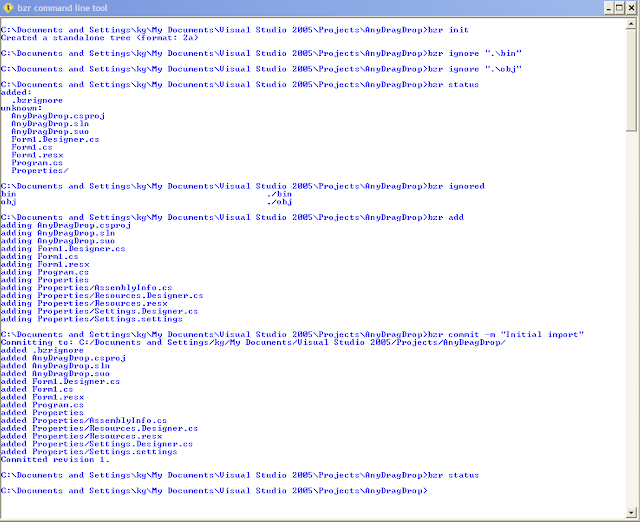 First move to the project directory. The init command will create the .bzr directory where all the revision and all bazaar information will be kept. 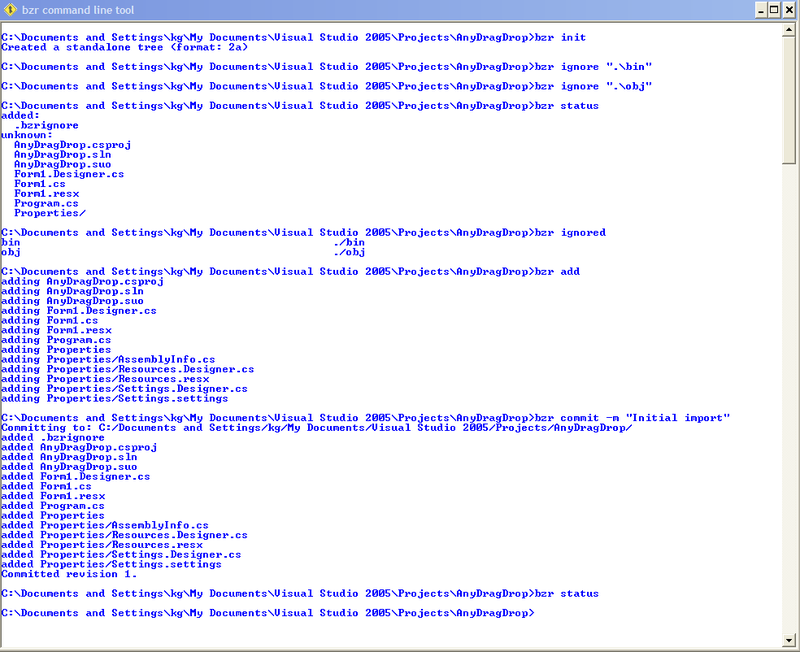 After that it's useful to avoid commiting output files and generated files like .exe and object files. 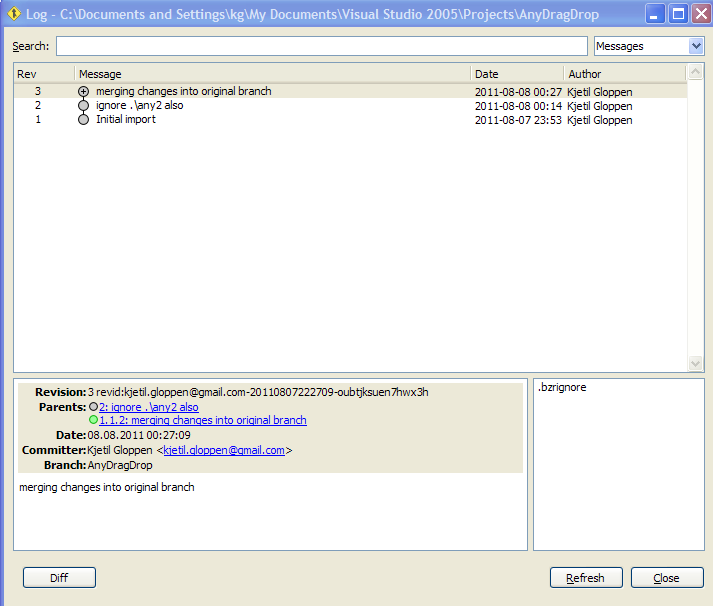 If you where working with others then the local user project setting files should be ignored also. See also the useful "bzr status" and "bzr ignored" commands. When everything looks okay, add the files and do the first initial commit. To make a copy branch of your code you can do that anywhere with the "bzr branch SOURCE DEST" command. This is how the Bazaar folks think you should work on a new feature or bug fix in your project, and I think it makes good sense. Make a new branch, do your thing (with many check-ins to that branch) and then finally merge in the new feature. 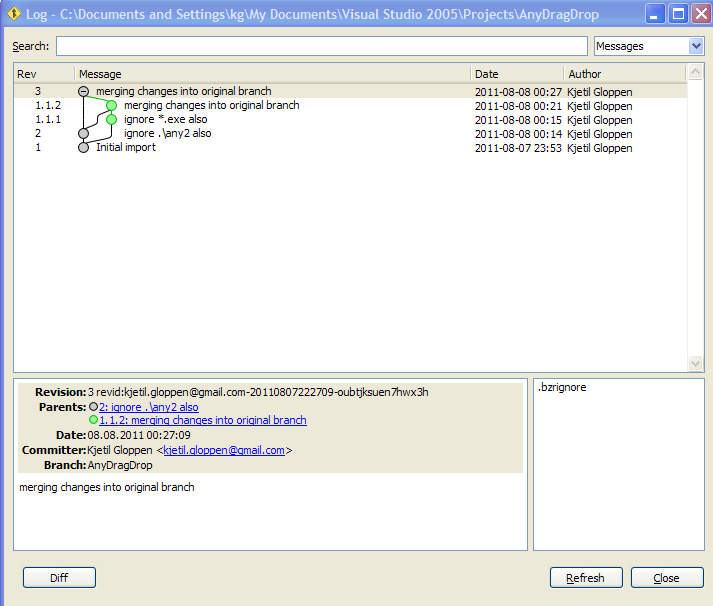 Next: Modify the same file in both branches, resolve conflicts and merge it all back together. Look how nicely Bazaar shows the revision history of changes done in a separate branch. All the changes for one feature (done i a separate branch) is shown as one revision that can be expanded to see the complete history.